Or view larger version. 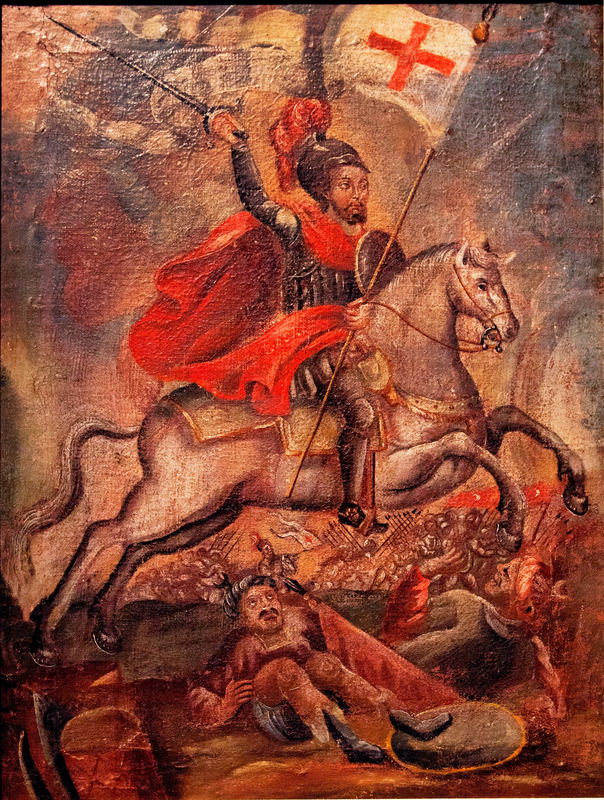 Santiago in battle. 17th century. Unknown artist. Oil paint on canvas. Collection of Oakland Museum of California.